Speaking Topics - Etika LLC. Justin walks the audience through his journey as a federal prisoner. He explains how making decisions from an ethical gray area can lead to financial devastation, loss of reputation, separation from family and community. 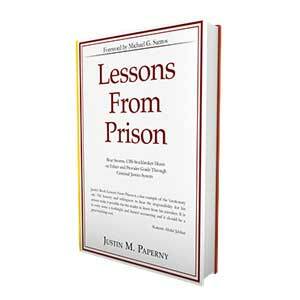 It will debunk misperceptions about country club prisons by discussing what he learned from others and his own experiences. Justin describes the government’s efforts to prosecute white-collar crimes. Despite the heavy penalties executives and employers face when the government brings criminal charges, too few understand how their actions can lead to imprisonment or seven-figure costs. Justin explains the consequences that follow an inattention to ethics. He also describes how easily an indiscriminate telephone call, text or email can lead to an implosion of career and family life. Studies show a code of ethics helps encourage ethical behavior, however, it is often not enough. We have too many examples of our country’s leaders from both the private and public sector who lost sight of ethical importance. When making corporate or personal decisions, asking ourselves whether our decisions comform with the code, can ensure that we avoid ethical gray areas that can harm our reputation. Justin conveys the importance of having a practical code of ethics, and how management can best enforce the code. Without a role model to help guide him, Justin crossed the line from unethical to illegal behavior. As a student athlete, he had the privilege of learning from coaches who also acted as role models. In the brokerage business, however, the pressure to perform, coupled with lax oversight from management washed away the values he learned as an athlete. This speech highlights the importance of mentoring young people within an organization. By establishing a personal ethical code, and ensuring that all personal and business decisions comply with that code, individuals can lead more fulfilling lives. 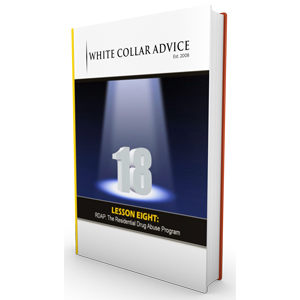 In this speech, Justin describes his past, what he has learned by listening to other white-collar offenders, and the ethical code that now guides all of his decisions. When professionals pursue aggressive tactics to meet short-term targets, they sometimes put themselves and their businesses at risk. Justin contrasts lessons he learned from professionals who built careers honestly and ethically in aggressive corporate cultures. Too often companies make decisions based on the expectations of Wall Street. These pressures are not only put on the CEO and other high ranking executives, but are passed down to middle management who must perform their assigned tasks to meet those goals. Justin emphasizes the importance of management’s role in addressing pressures put on all employees in order to assure ethical business practices. Many people remember reading about Martha Stewart’s legal complications. The initial act would not have resulted in imprisonment, but the lies, the cover-up, and the denial did. Justin interacted with and interviewed many federal prisoners who complicated their own legal struggles through similar denials. In this speech, Justin educates audiences by telling their stories and his own. Justin describes how seemingly benign decisions can lead to severe problems later. When individuals convince themselves they operate from within an ethical gray area, they sometimes expose themselves to problems they cannot foresee. Justin offers descriptions of how such ethical gray areas lead to imprisonment for some executives. For lecture information, including rates on bulk book orders, please fill out the booking request form. Additionally, you may email Justin at justinpaperny@etikallc.com or call 818-424-2220.